December has been jam packed full of Christmas gift guides so far and today is no exception as i’ll be focusing on the higher end, more luxury gifts in this post. These are the presents that you might like to buy for someone very special, perhaps as their main present. 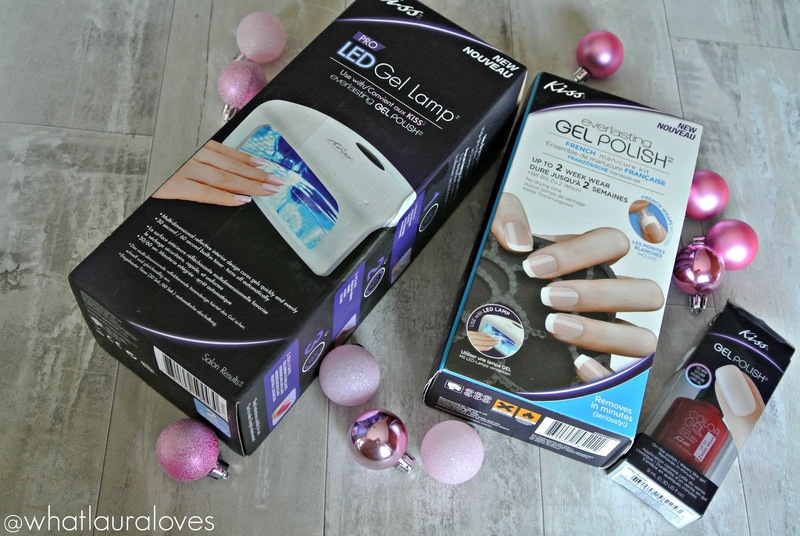 Starting with the ideal present for those who love beauty; a gel nail kit that enables them to get a salon professional result right from the comfort of their own home. There are lots of these on the market but the Kiss Everlasting Gel Polish kit is the best I’ve tried myself, mainly because it is relatively easy to use and there are lots of choices when it comes to nail colour with this kit. While it is quite hard to get a hold of, it is a great buy so its worth keeping your eye out when you’re shopping, especially at Tesco as they often have it. To complete the kit, you purchase the Kiss Gel Lamp, which is currently in stock here (also available here but out of stock at the time of writing). This is what is used to cure the gel nail polish and is an essential tool to be able to create gel nails. The you pick a gel nail kit, such as the Kiss Everlasting Gel Polish French Manicure Kit which is in stock here. This gives you, or the person you’re buying for, everything they need to be able to create a gorgeous french manicure in gel at home. There are lots of kits available with different colours in them but this one is the best place to start, especially if you’re buying for someone else as a french manicure is a very classic look that suits absolutely everyone. Once you’ve purchased the starter kit and gel LED lamp, you might also want to consider getting a colourful gel nail polish colour. My favourite for this time of the year is Really which is a stunning true red shade that looks so festive, making it perfect for Christmas. Each application should last up to two weeks so its great for girls that want to be out there partying this Christmas rather than being sat at home, tied to their nail polish collection! Prices vary from store to store but for all of the above, you’re looking at around £60 which is a great price to pay considering gel nails can be around £15-£20 and up over in a salon! 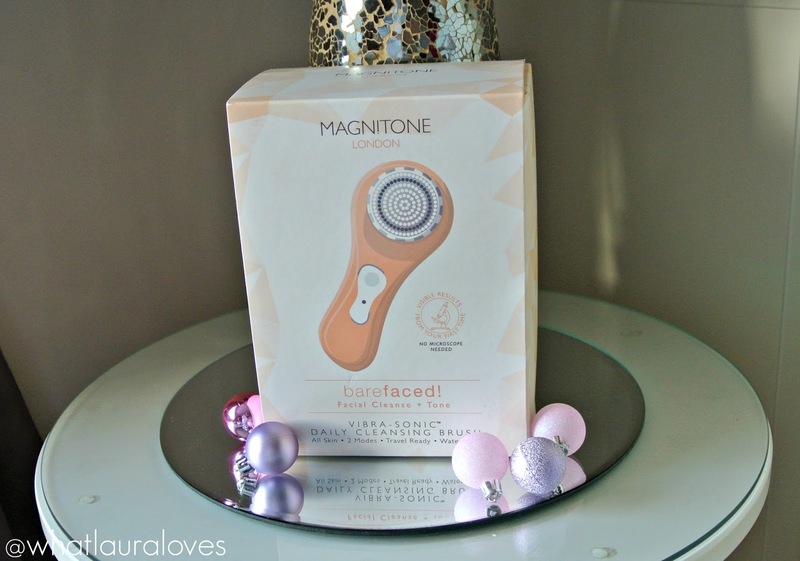 Another beauty gift that I would recommend to anyone is the Magnitone Barefaced facial cleansing brush which is enables the user to clean their skin more thoroughly than ever before! I have a full review of the Magnitone Barefaced here so head on over there to read all about how great it is and what it does for the skin. I’m sure this gift would be incredibly well received on its own but if you’re feeling especially generous, then it could be given with a cream cleanser or a face wash and even some other skincare bits. My preference would be the Boots No7 Beautiful Skin Hot Cloth Cleanser as this is the one that I use and I know that the two work superbly together. It is currently on offer for £50 here instead of £70 which is an amazing saving! 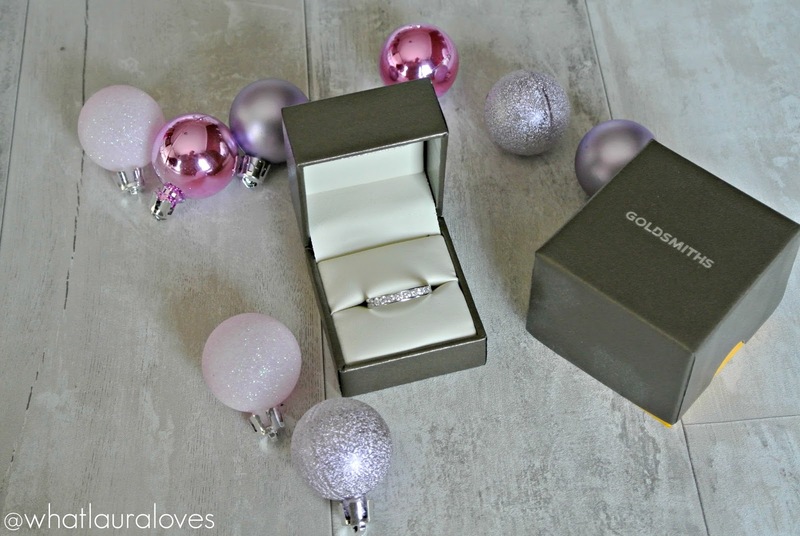 If you’re looking for a main gift for someone but you’re unsure of what to buy them, then jewellery is a great way to go. Just have a look at the pieces they already have to suss out their style before you start checking around places online. I’ve picked out two beautiful pieces to show you which are from different stores and price points. 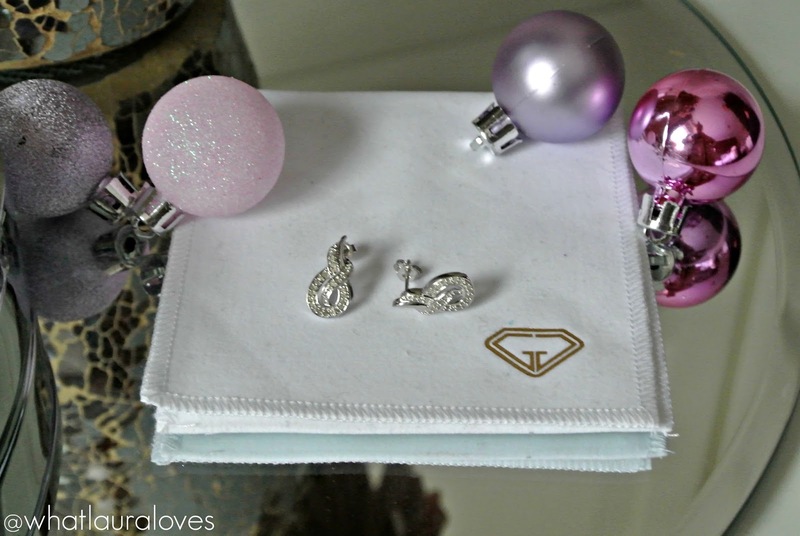 The first are these gorgeous earrings from Gemporia. These are the 1/4ct Diamond Sterling Silver Earrings from the Annabella collection at Gemporia. They feature 50 little diamonds within the beautiful twisted design that have a combined weight of 0.25 carats in a sterling silver setting. They’re stud earrings but do have a drop to them so they’ll hang down lower on the earlobe. This gives them a very elegant and sophisticated look which would be ideal to wear at a ball or a party function on New Years Eve. 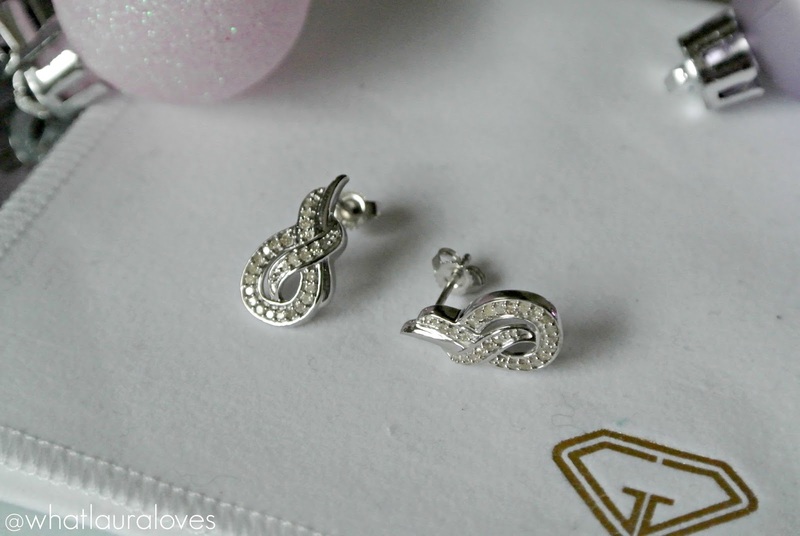 These are a great option for if you’re wanting to treat someone to something sparkly this Christmas and as long as you know that they definitely have their ears pierced, you can’t go wrong with them. At only £60, they’ll not break the bank and you’ll really make the person you’re giving these to feel super special. Personally, I think they’d make a lovely present for a mum. The great thing about buying your jewellery online at Gemporia is that aside from getting really beautiful jewellery pieces, you also buy them at a lower price than their normal retail value. For example, the estimated retail value of this pair of earrings is £214! At the moment, Gemporia are offering two discount codes on their site. You can get £10 off when you spend under £50 using the code NOEL10 and if you spend over £50 you can get £20 with the code NOEL20. Finally, the most special gift suggestion of all has to be this diamond eternity ring from my favourite jewellers, Goldsmiths. They stock the most stunning jewellery around and if you’re nearby their Northern Goldsmiths store in Newcastle then I’d highly recommend taking a look inside. You can read all about its major revamp in this post. The ring above is a diamond eternity ring from my own collection. It features 12 stunning diamonds with a weight of 0.5 carats set within 18 carat white gold. To read more about the ring and my thoughts on gifting an eternity ring in my blog post here. I don’t know anyone whose breath wouldn’t be taken away upon opening a piece like this on Christmas day. If you have the budget and you’re looking for a special gift for someone, this would make the ideal present! What luxury or main gifts would be on your wishlist this Christmas? Yes!!! That Kiss gel mani set is my absolute favourite!! Love all those jewels too!